The blockbuster release of Pokémon Go is on everyone's lips. But is the fad of catching Pokémon making people move more? We crunched the numbers. Read on to find out. Pokémon Go has become a genuine craze, now aptly referred to as Pokémania. But if you’ve never heard of it, it’s probably because this virtual reality game was only released in the U.S. on July 6, 2016. When you play, you need to travel in the real world to catch these virtual monsters, as well as the eggs and balls that enhance your game. 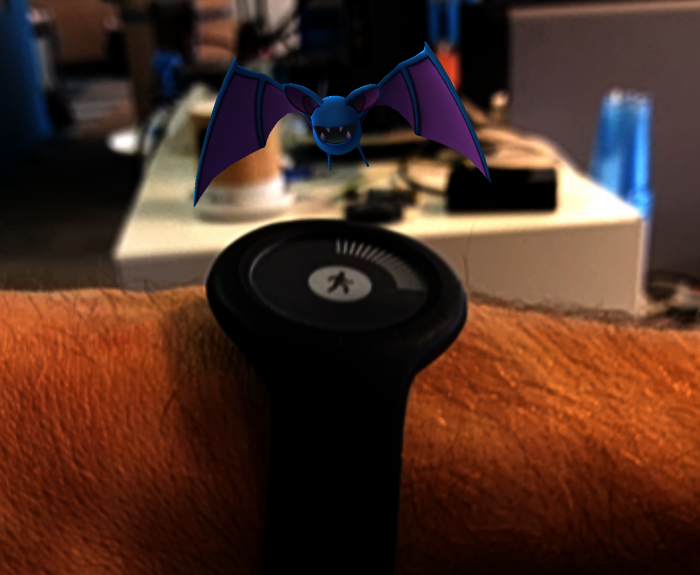 As the object of the game “gotta catch ’em all” is making lots of people hunt around on foot, we wanted to see if step counts have been higher since the release of Pokemon Go. Our data team compared the average number of steps during the week of July 6th to July 12th (7-day interval) 2016, and compared this year’s average with last year’s average for the exact same dates. 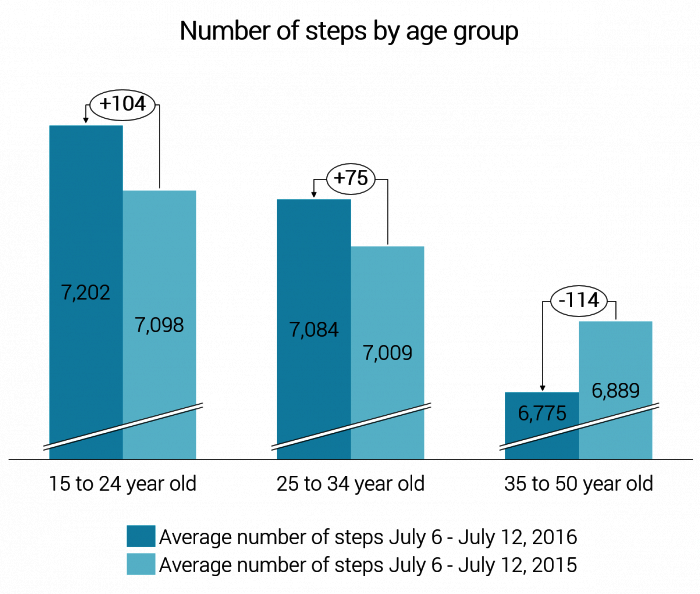 Conclusion: People aged 15 to 34 walked more with the release of Pokémon Go. Teens were more impacted than 25 to 34 year olds. People 35 and older were not affected, perhaps because they did not grow up with Pokémon. We’re in support of any game that encourages more activity – so grab your Withings Go, load up Pokémon Go on your smartphone, and get moving! This study was conducted by Withings based on data from a panel of 70,000 users of Withings activity trackers in the U.S. aged 15 to 50 years old. All data used for this study was anonymized and aggregated, as Withings guarantees the confidentiality of personal data and protects the privacy of all its users.